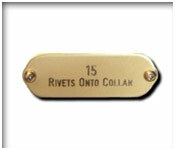 Brass Tags come in a natural Brass finish; similar to example tags #1 Cat Head and #10 Slide On. 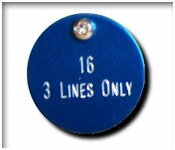 Stainless Steel Tags come in a natural Stainless Steel finish; similar to example tag #12 Round. 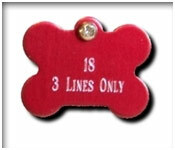 know the name of your pet and it’s current living address. 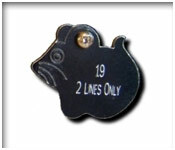 current Pet ID Tag to your lovable companions collar. •	All measurements are in inches. 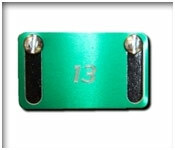 •	Images of tags/products are not to scale. 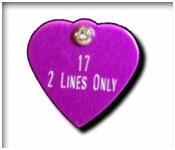 •	All tags receive 4 lines of engraving unless stated otherwise. 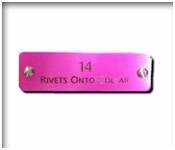 Copyright © 2019Winners Trophy & Engraving. All Rights Reserved. Designed by Bridge-Light Marketing & Web Design, L.L.C.